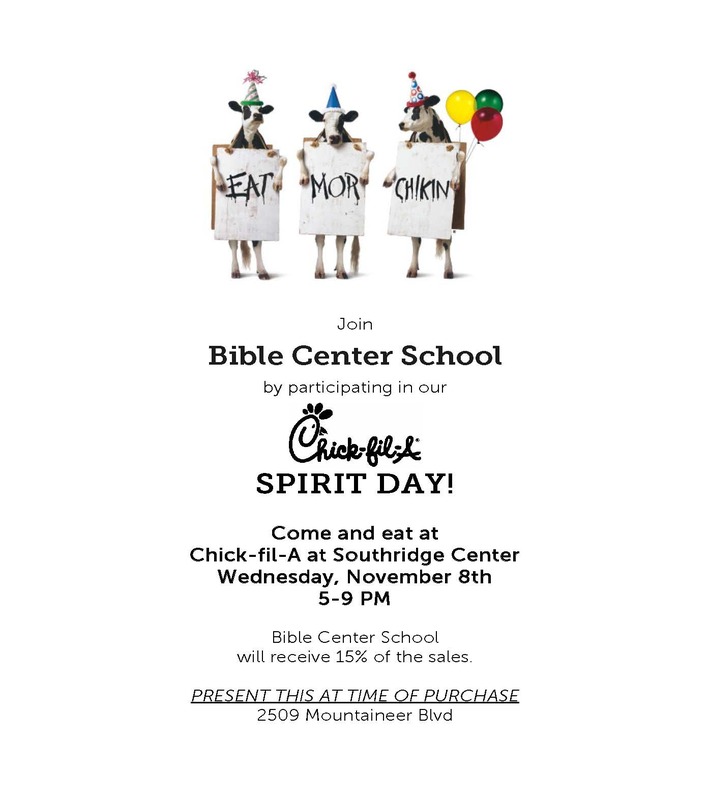 Come and eat at Chick-fil-A Southridge on Wednesday, November 7, from 5-8 PM. BCS will receive 15% of the sales. You must present the voucher below. Hope to see you there!